Remember the T-1000 from Terminator 2? The "liquid metal" robot? We're one step closer to realizing that vision. Ok. So it's a slow step forward. However, the technology demonstrated in video can be miniaturized, allowing for the assembly of more complex structures. We'll be self-assembling nano-bots in no time at all. A little scary. On the other hand, this kind of reminds me of the Iron Giant. 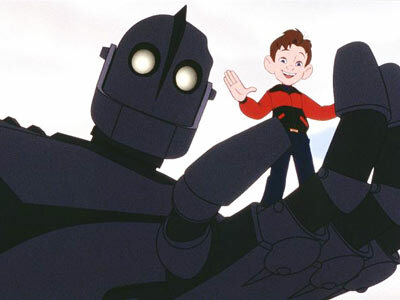 I love the Iron Giant.